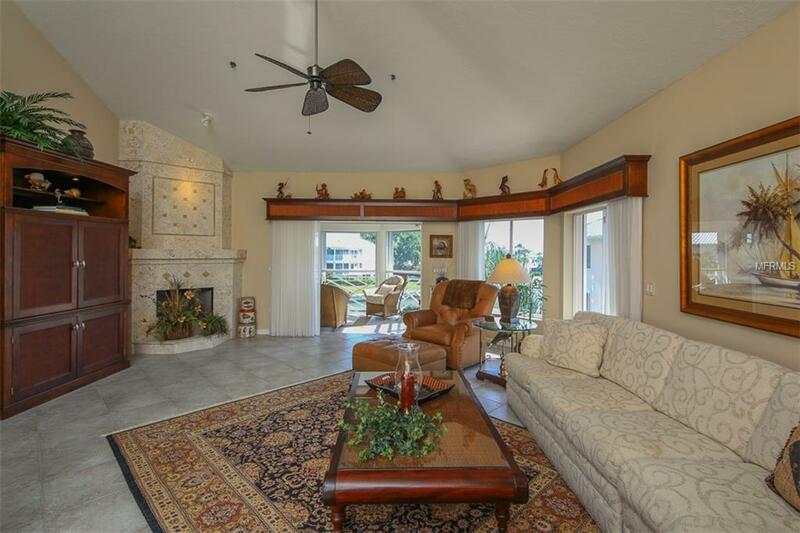 Welcome to this magnificent residence capturing views of both the Intracoastal & marina. 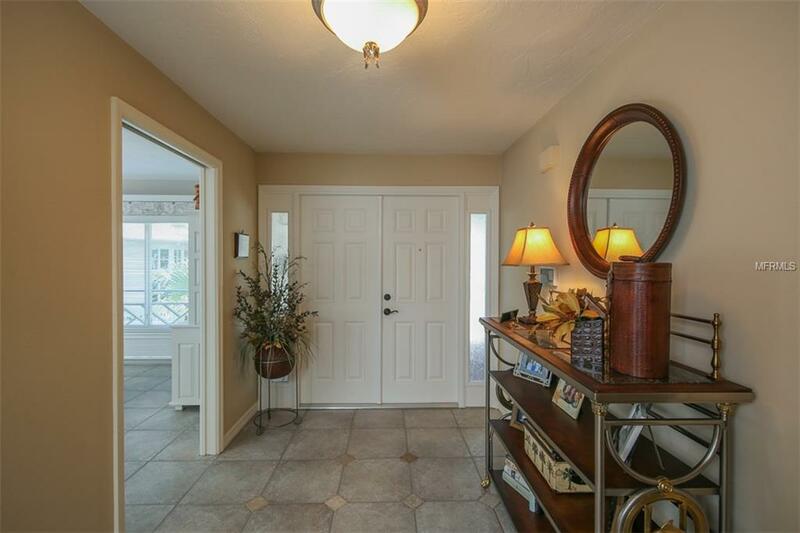 Upon entering, one is greeted w/updated tile flooring throughout foyer, kitchen, breakfast nook, living rm, dining rm & lanai. Plenty of natural light & sunshine permeate the kitchen & breakfast nook & are complimented w/stainless appliance package (2016), solid surface counters, breakfast bar & built in desk area. Living & dining areas offer soaring ceilings along w/staircase leading to spacious loft w/its own alcove & 3rd BR/3rd bath. Master suite is located on 1st level & features views of marina & ICW. Master offers walk in closet & bath w/updated tiled shower & flooring, dual sinks, large soaking tub & sep commode area. Enjoy relaxing or entertaining on your lanai while watching dolphins & manatee play in the marina & boats cruise the ICW. This impressive residence offers neutral palate throughout, not to mention there is more space than most homes offering just under 3000 sq. feet of living space. In addition to all of this, there is a 4 car tandem garage w/additional 11 x 12 storage area for all your belongings. 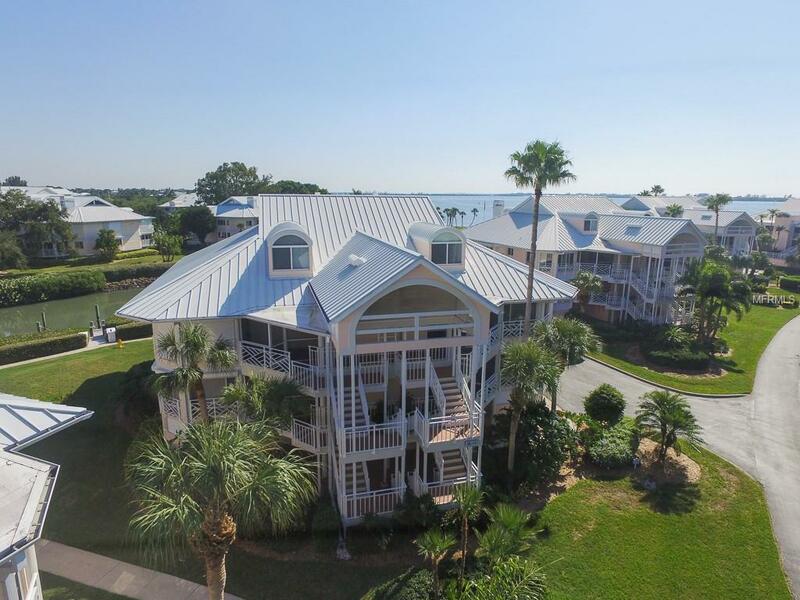 This resort style community offers 3 pools/clubhouses, jacuzzi, his & her saunas, fitness, pickle ball, tennis, billiard table & a private ferry with access to the tranquil beaches of LGI. For boating enthusiasts, marina has boat slip availability w/ direct access to the ICW & Gulf. 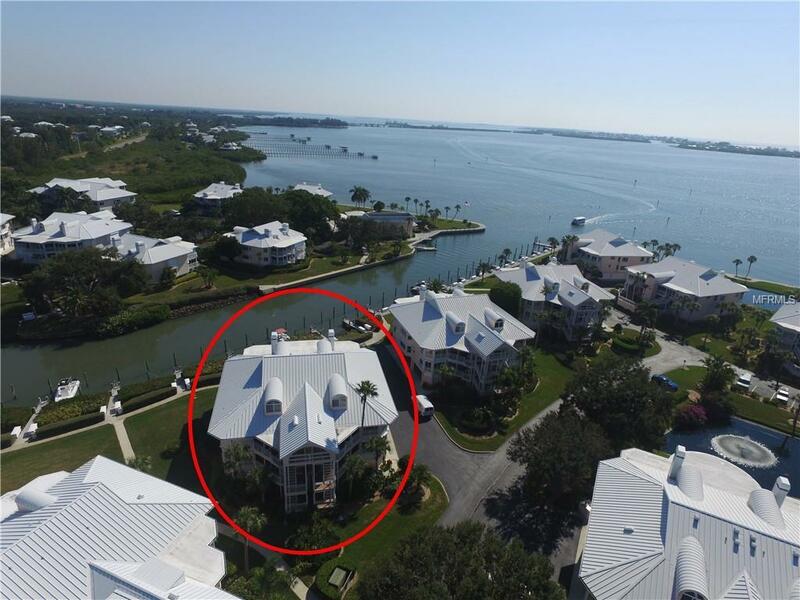 Only 1 miles to the Boca Grande Causeway & within minutes to several area golf courses, beaches, restaurants & more. Amenities Additional Fees Boat Slip Availability ----Additional Fees Apply.